Social media provides countless opportunities to share content with fans and followers, but its real value lies in its power to promote that content beyond your immediate connections and throughout their own social networks across the Web. This can expand your reach exponentially and help you acquire even more social media connections. 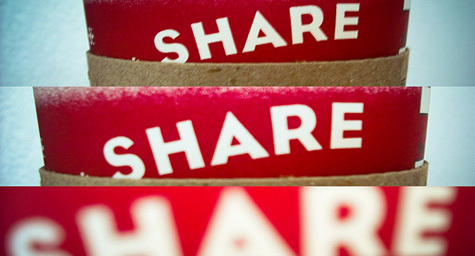 The secret lies in making your content so compelling that people want to share it with others. Hubspot.com offered several SEO strategies for making your content more socially sharable. 1. Make Article Titles Stand Out – To increase the chances of your content being read and shared, your headlines must be attention-getting and interesting while providing a clear description of your article. 2. Include Meta Descriptions – These meta descriptions have become very useful for social media optimization, so add an enticing meta description to your blog posts and Web pages to attract the attention of social media users. 3. Make Titles Short And Sweet – Some social media sites may want to add commentary to your titles or impose a character limit, so keep your titles as brief as possible. 4. Maintain High-Quality Content – Your content won’t be shared if it isn’t good enough to share, so put an emphasis on creating the highest quality content to maximize its sharability. 5. Include An Image – Pictures are more eye-catching and appealing than plain text, so add images when posting content to social media sites. 6. Attach Social Sharing Buttons – Web sites with social sharing buttons generate seven times more mentions than those without, according to a BrightEdge Technology study, so add these features to every piece of content you post to encourage sharing. 7. Add Hashtags To Titles – Maximize the visibility of your content by hashtags so when your content is shared it automatically appears in the hashtag’s stream. Let these seven SEO strategies be your go-to guide for making your content more sharable among your direct social media connections, while indirectly encouraging them to take into the social circles of their own. To make your content more sharable, expand your reach exponentially and acquire more social media connections, contact MDG today at 561-338-7797 or visit mdgadvertising.com.